THE SYRIAN POINT OF VIEW AT THE UN SECURITY COUNCIL: Intervention that Dr Bachar al-Jaafari made following the adoption of Resolution 2401 by the 15 members of the United Nations Security Council on 24.2.2018. 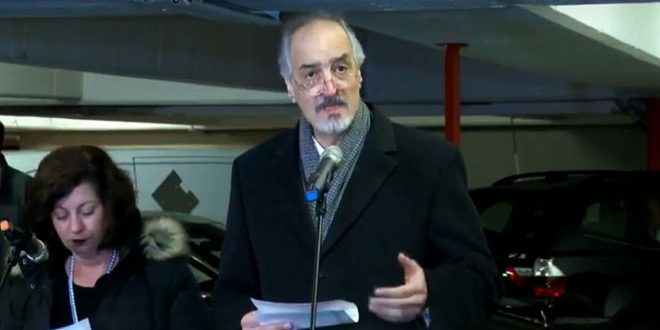 Dr Bachar al-Jaafari is Syria’s Permanent Delegate to the United Nations. Because his above-mentioned speech could not be found in English, the posadiststoday.com use here a French-speaking link to it. Posadiststoday.com translate below parts of this speech to show the bravery of the Syrian Revolutionary State. This bravery comes from the determination of the world masses never to allow themselves to be colonised again. 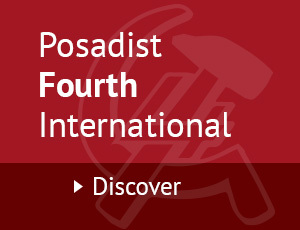 It comes from the revolutionary determination of Russia not to allow itself to be crushed, obliged now to accomplish what the USSR did not do in the past: to build a world anti-imperialist front against the counter-revolutionary world war that capitalism prepares. The bravery of Syria comes also from the gains made by humanity to date, from the Russian Revolution, its victory over fascism in WW2 and the world colonial Revolution. 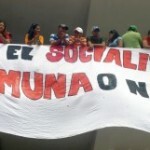 Economically, politically and culturally exhausted, capitalism has not been able to destroy the Revolutionary States. It stalls them with its devastating wars, but it cannot return them to the capitalist fold. The capitalist fold being itself on the brink of destruction. Resolution 2401, which was passed unanimously by the 15 members of its Security Council, called for a ceasefire in Syria. In what Bachar al-Jaafari said immediately afterwards at the UN, he agreed indeed with the resolution. And he made concrete proposals for the ceasefire to start immediately, and to last at least 30 consecutive days for a humanitarian pause to be installed. “[..] And my colleague and permanent delegate from the UK who had terrifying stories to tell, stories he holds from certain others, he apparently never heard of [the] terrifying stories about what his [armed] forces did in Iraq, Palestine, Syria and in Libya. The British government, my dear, went all the way to the Malvinas where it made war on Argentina for the sake of an island that does not belong to it [the UK] – an island tens of thousands of kilometres away. And that his distinguished government – note that I do not say ‘regime’ because I respect international law – would refuse to us the right to combat the terrorists on our soil. Bachar al-Jaafari, 24.2.2018 at the United Nations, Extracts.